Last week, we brought you the 50 Greatest Vocoder Songs. While that list profiled the best moments in the hardware's history, we figured it would only be right for us to follow it up with a "Best Of Auto-Tune" list since Auto-Tune is like the vocoder's software sister. Now, before you throw your hands up in disgust and start quoting lines from "D.O.A.," hear us out. Yes, way too many artists jumped on the Auto-Tune bandwagon. But that doesn't mean the era was without its merits. And trends never really die (sorry, Hov) as much as they simply fade once the novelty wears off. (For those scoring at home, Auto-Tune officially jumped the Fail Whale when this ad aired.) However, for all the backlash over seemingly every artist searching out the "T-Pain effect," the era actually produced a lot of great music. 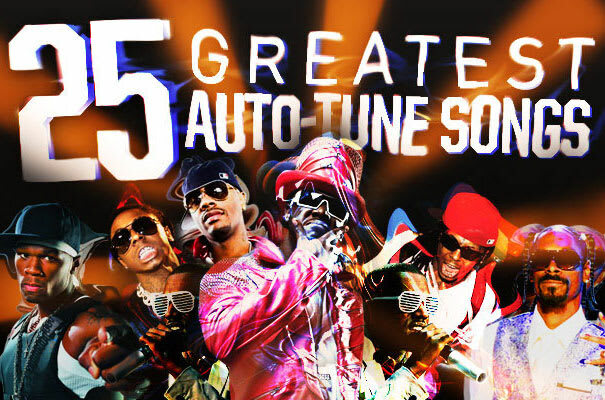 So without further ado, Complex Presents: The 25 Greatest Auto-Tune Songs. So get back to reading, you ain't T-Paining enough.